Biometric fingerprint reader is a professional fingerprint access and time attendance control system. It uses fingerprint instead of card system for access. This can be widely used in confidential places for its easy installation and high security. It's the best choice for you today, to secure your life tomorrow. 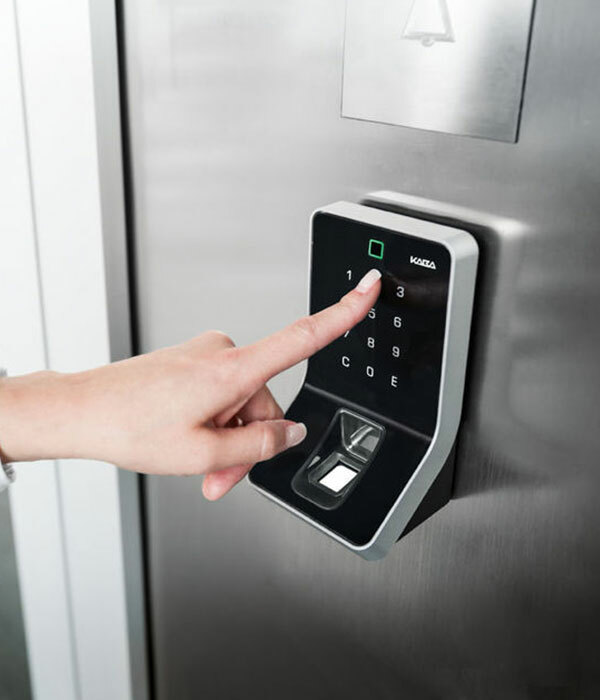 Biometric fingerprint reader System not only permits entry, it also tracks and records data of Visitors and Employees through its Access Software. The Attendance Software can be integrated with any existing payroll software to offer you with automated, system generated Attendance System thereby saving time and resources in recording manual attendance leading to increase in productivity and profitability of your organization. Whether you need a complex Biometric fingerprint reader, or a simple stand-alone device, we have all the products to meet your needs. We provide a complete line of access devices including RF controls, card readers, keypads, electric and magnetic locks and a full line of complimentary products to meet your specific requirements. For more details about our Biometric Fingerprint Readers please contact. © 2001-2019 Ortus Telecom Solutions Pvt. Ltd. All rights reserved.